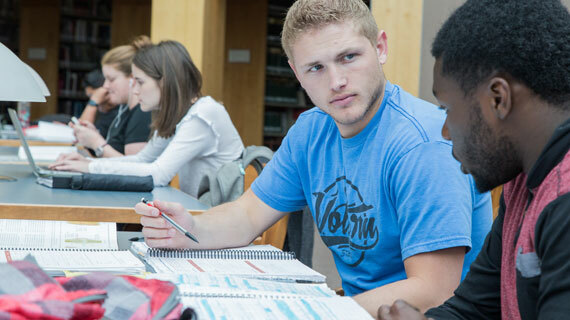 According to the Utah System of Higher Education (USHE) annual enrollment report released this morning, Southern Utah University leads the system in student enrollment in terms of percentage growth with a 7.69% increase over last year. For the past four years, SUU has seen consistently steady growth increasing the student population by 34% from 2014. The current headcount for fall semester is 10,196 with projections to exceed 11,000 students by the end-of-term through SUU’s online, certificate and licensure programs which have flexible start dates. This year SUU welcomed the largest number of incoming students to campus with 2,131 new first-time undergraduate students, a 9.4% increase over last year. While enrollment numbers continue to grow, so does the academic quality of these students. The incoming class had an average 3.52 GPA, making them the most prepared freshman class in SUU’s history. “It’s wonderful to see students coming to SUU in greater numbers, but what’s even more satisfying is seeing our students have a great experience here and succeed at high levels,” said SUU President Scott L Wyatt. In just two years, from 2015-2017, the university went from a 64% retention rate to 71%, a record high for the institution thanks to small class sizes and student mentoring relationships with full-time faculty members, along with innovative efforts from the Student Affairs team. The university’s commitment to enhancing the undergraduate experience sets students on an upward trajectory, leading to personal growth, civic responsibility, and professional excellence. To accommodate the continuous growth and maintain the personalized learning environment on campus, university officials have invested heavily in additional faculty members, student services resources and new buildings. Buildings completed in the last six months include, a state-of-the-art business building, spacious resident halls and a new sports performance center.